I write because it makes me feel better. I write because the words I want to express are so much prettier on the page than when they tumble out my mouth, in broken sentences, in the wrong order, and sometimes – often – as the wrong words altogether. I write because sometimes I feel a blank page is the only one in the world that can not only understand me, but just stand me. I write so I don’t forget. 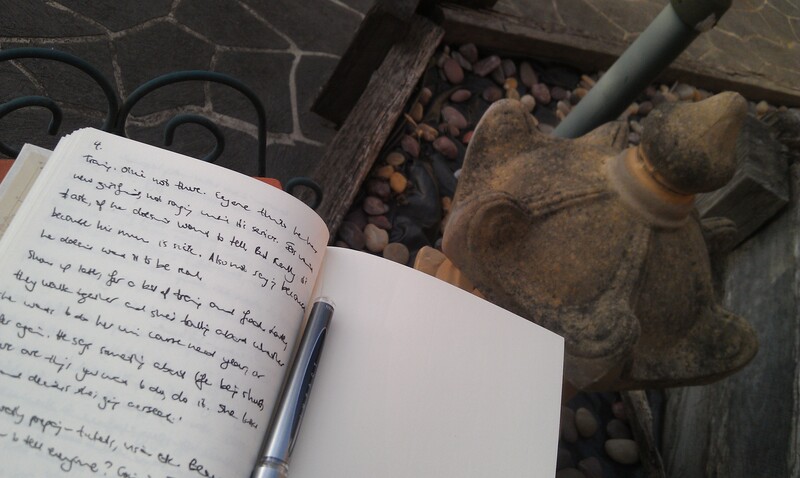 I write to make sense of the world. I write because it makes some things last forever and something things disappear and I will never have more power than that in any lifetime. I write because it’s physical, connecting my mind to my arm, my wrist, my fingers that grip this pen. Because I can see words appearing where there were none before, and now they are a tangible thing to be seen, and this gives me the opportunity, when I stop, to step back and see my mind. How strange and beautiful and surprising it can be. And I can remember who I am and why I’m here and that all of the moments up until now have led me to this point. And for that I am grateful. I write because it is a privilege, because I can and I want to and I must. I write because it feels right. I write because it’s the best thing I know how to do. I write because it’s the best thing I have to give back to the world, and I write because I will never tire of finding words to describe the beauty in the bookends of each day.